Everything you wear on top. Japanese to English via The Flat Head. Horse leather is indispensable for the material of the leather item of the flat head. Flat head horse leather has been asked to a domestic tanning factory that can consistently be made from raw leather to finish. Flat head is usually finished in horse leather which is hard to break even after sewing by its own tanning. It is made possible by immersing in oil developed only for flat head leather wear. the flat head is particular about the finish of the base and the finish of the surface. We dyed the substrate as brown and repeatedly finish the process with dye on it several times to increase the color depth of the surface. Leather wear sewn by skilled craftsmen who can respond to this fine material of fine sewing specification of flat head shows further expression by getting in. It is a secular change that the appearance changes one by one depending on the person wearing it, because the brown color of the base rubs with the dye on the surface wearing it. The 519 was designed as a retro version of the popular 613. The is one of our slimmest leather motorcycle jackets which is more suited for fashion than riding. Perfecto Model 519 leather jackets for men are made with chrome-tanned, drum dyed, plump cowhide leather. You will find this jacket to be very comfortable to wear the moment you first try it on! This leather is made with an oil and aniline finish that gives a rustic old look and a soft “hand”. As with all of Schott’s high quality leathers, this mid-weight cowhide is tanned and processed to provide many years of use without the need for treatments or conditioners. Incorporating more of a fashion fit, the 519 is cut tighter in the arms. We also removed the underarm footballs for a more streamlined fit. The open sleeve cuff design and rounded shoulder epaulets were born in the late 1920's on our first zippered leather motorcycle jacket, the model 1928. Another change that was made from our original 613 design is the added snap near the belt buckle. This was done to keep the heavy buckle in place even when the belt is open. This Perfecto model 519 motorcycle jacket was designed and built for the long haul, the short ride, and everything in between! As with all Perfecto leather jackets, Schott only uses the best, highest quality leather available. In the same tradition used in the 50's, highly skilled workers hand-cut each panel for the 519. In keeping with their original custom style, Schott designed this jacket to fit tighter than most for that classic bold and streamlined look. Offered in sizes XS to 3XL, we suggest you carefully check our sizing diagrams and measurements to determine best fit. The Schott Perfecto Model #519 is proudly made in the U.S.A. Our customers know that the quality and construction of our jackets are unparalleled. From the heavyweight thread we use to the strong American hands that do the crafting. We build our leather motorcycle jackets to the same indestructible standards as the old style leather medicine balls. One-hundred plus years of being the best is your assurance that Schott Brothers stands behind every jacket we make. The Perfecto Model 613 leather jackets for men are made with U. S. sourced, chrome-tanned, drum dyed, heavyweight steerhide leather. This hide has a medium to firm “hand” and a matte finish. It is chrome tanned and processed to provide many years of use without the need for treatments or conditioners (which can actually weaken all leathers). Right out of the box this jacket will have a stiffer feel and fit. We always tell our customers that to make this leather jacket their own requires a profound commitment. Wear it often, explore the open road and watch how it conforms to your body over time. This Perfecto model 613 leather motorcycle jacket was designed and built for the long haul, the short ride, whatever you decide to throw at it! Schott NYC uses US domestic steerhide to help your leather jacket or “second skin” resist the elements. Motorcycle jackets need to be as tough as the people wearing them. You will enjoy the benefits of both stain resistance and sturdy protection with a water resistant leather hide whether you are riding on your classic motorbike or venturing out in the chill of a winter storm. For wind protection and added warmth the 613 features an attached belt, zippered sleeve cuffs and a durable insulated nylon quilted lining sewn into the body of the jacket. Our bi-swing back panels and under arm footballs ensures that this tight fitting jacket moves with you eliminating that restrictive feel often found with other leather motorcycle jackets. Nickel plated brass hardware complete this timeless American made classic that is built to last a lifetime. As with all Perfecto leather jackets, Schott only uses the best, highest quality leather available. In the same tradition used in the 50's, highly skilled workers hand-cut each panel for the 613 from patterns that date back to the early "One Stars". In keeping with their original custom style, Schott designed this jacket to fit tighter than most for that classic bold and streamlined look. Offered in sizes 32 to 54, we suggest you carefully check our sizing diagrams and measurements to determine best fit. Many of our customers prefer to “size up” in this style due to its classic, close-fitting cut. Ordering based on your chest size will give you that snug, t-shirt only, bad boy look pioneered in the 1950’s. The Schott Perfecto Model #613 is still proudly made in the U.S.A. Our customers know that the quality and construction of our jackets are unparalleled. From the heavyweight thread we use to the strong American hands that do the crafting. We build our leather motorcycle jackets to the same indestructible standards as the old style leather medicine balls. One-hundred plus years of being the best is your assurance that Schott Brothers stands behind every jacket we make. The customized asymmetrical leather motorcycle jacket worn by Brando became the must-have anti-establishment symbol for 1950’s youth. The orders skyrocketed for this leather jacket causing Irving Schott and his son Mel to increase their workforce and expand the Schott factory. By the mid 1960’s the Perfecto mens jackets had also caught on with the emerging rock n roll movement. Once again, due to increasing sales, Schott had grown out of their current factory on King Street in Perth Amboy, NJ. A few new factories later and still in New Jersey, Schott proudly continues this iconic American classic motorcycle jacket as the Model 613 for the wild side in all of us. The Per 22 is a modern take on the classic Perfecto Schott jacket. This 27” Waxy smooth cowhide Perfecto ® jacket has antique brass trim, piped zipper pockets, sleeve vent zippers with wind flap, half belt with buckle and snap, epaulets, bi-swing back, snap down collar and lapel, inner chest pocket and a retro rainglow lining. The 530 is a classic cool, no-frills leather jacket that looks perfect on the road or off the beaten path. Similar to the popular Model 141 but designed with a slimmer fit, this café racer motorcycle jacket is cut by hand from cowhide that was dye-drummed, creating a natural, pebbled appearance. As with all leather jackets, Schott uses only the best, highest quality leather for the 530. Durable yet supple with a soft, luxurious feel, your new jacket will feel like a second skin right out of the box, no break-in period required. Schott believes in details. That’s why we’ve added a leather-trimmed inside breast pocket and unique, custom embossed "Schott" snap faces. The stand-up, mandarin-style collar with a snap closure protects your neck while the 100% cotton plaid lining feels smooth against your skin. You’ll find the three exterior zippered pockets with chain pulls useful for storing small but necessary items on the go. As always, the classic café racer motorcycle jacket style is still produced right here in the USA. As with all our leather jackets, Schott only uses the best, highest quality leather available. In the same tradition used in the 50's, highly skilled workers hand-cut each panel for the Model 530. In keeping with their original custom style, Schott designed this jacket to fit tighter than most for that classic bold and streamlined look. Offered in sizes XS to 4XL we suggest you carefully check our sizing diagrams and measurements to determine best fit. Also please note that the absence of underarm footballs combined with Schott’s tighter cut arms make this a slim fitting jacket. Our most popular silhouette, men's classic 26 inch Schott Perfecto cafe racer motorcycle leather jacket in heavy horsehide features underarm footballs, bi-swing back and fixed quilted lining. Suitable for riding or wearing around town. The special characteristics of this leather result in a smooth, consistent finish. Notice the huge single piece back panel! This is a tighter fitting jacket so if between sizes order up. Our interpretation of the “Type II” jacket that Levi’s released in 1953. Slightly longer in the body and less boxy than the original Type II, this Iron Heart version is constructed from our 18oz indigo warp/white weft selvedge denim and sewn together with super-strong poly/cotton constructional stitching. 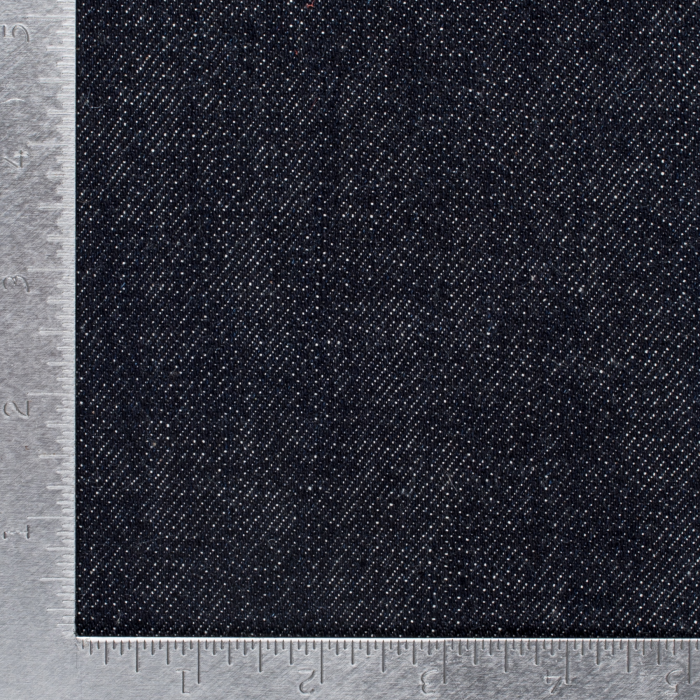 This is our slubbiest denim and is woven under pretty high tension. It fades with a lot of contrast as the raised slubs give up their indigo. 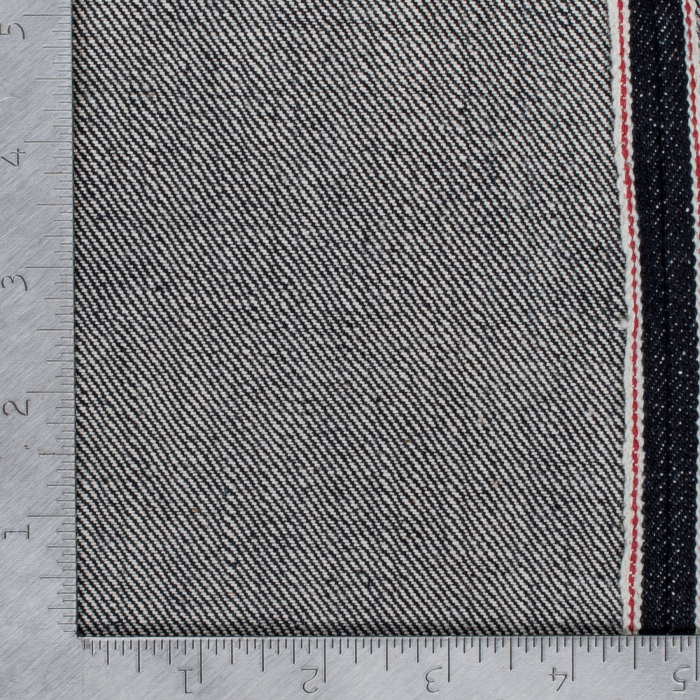 Not particularly breathable, so feels warmer than our signature 21oz selvedge denim. We do not put the denim through an anti-skewing process post-weave, so jeans made from this denim may exhibit leg twist, particularly in the left leg.